For those who weren’t playing along last night. Last night, President Obama delivered the State of the Union address to a crowded House Chambers. A year into his second term, and a difficult year at that (troubled roll-out of Obamacare, government shutdown, failed legislation in gun control, immigration reform, etc. ), the President delivered a typically optimistic speech, heavy with the American exceptionalism and can-do spirit one expects from a State of the Union address. While there were several fun quips in the middle, the speech got off to a serious start and ended on a heartfelt, emotional note. You can read and watch the address here, and check out our notes below. President Obama began his address by remarking on what people around the country did today – a teacher, an entrepreneur, an autoworker, a farmer, a rural doctor – wholesome images of Americans hard at work. It wasn’t the most engaging opening, but it’s of note that he started off with the teacher who “spent extra time with a student who needed it and did her part to lift America’s graduation rate to its highest level in more than three decades.” Education would be a recurring theme in the President’s speech, and I think it speaks volumes that he chose this, rather than something related to the economy, as his leading image. Though he promised to work with Congress, the President also made clear that he would search for ways to go around them “whenever and wherever I can” if they do not cooperate. The President mentioned the College Opportunity Summit, which DSpar attended, to work on making college education a reality for all students. The President then received a thumbs up from Speaker Boehner after a reference to his humble beginnings as a barkeep’s son. Boehner sat stone-faced the rest of the night. Obama went on to support tax code reform to benefit companies that insource jobs back to the United States. Money saved from this reform would go towards improving infrastructure and creating more jobs. He announced his unwavering support for small businesses and technological innovation and encouraged Congress to undo cuts to research. While Obama proudly declared that his “all of the above” energy plan is working to make energy independence a reality, he focused primarily on natural gas. While a step-up from foreign oil, natural gas is not always “extracted safely,” i.e.fracking. He mentioned solar power and asserted that tax reform must prevent Big Oil from receiving $4 billion a year, so that this money can be invested in alternative fuel sources. And, to restate what we already know, the President made clear that climate change is indeed real. The President encouraged the House to pass immigration reform and touted the benefits of doing so, including economic growth and reduced deficits. He assigned Vice President Joe Biden to the task of creating job training programs, and he admonished Congress for allowing 1.6 million people to lose their unemployment insurance. President Obama named student loan reform, the highest number of college degrees ever awarded, and Race to the Top among America’s achievements in education. For the second year in a row, however, Obama asked that Congress work with states to provide universal pre-K programs for all children. Students across the country are well on their way to receiving high-speed internet, partnerships between high schools, colleges, and employers, and continued reforms of student loan debt, including allowing monthly payments capped at ten percent of income. Another cause near and dear to Barnard, the President listed equal pay for equal work and flexible workplace policies for parents as among his top priorities for women. This was naturally met with a standing ovation from many members of Congress, especially women. Obama congratulated the five states that raised minimum wage and asked Congress to do the same. He gave a shout-out to Costco, the wholesale retailer known for its higher wages and good employment policies. President Obama announced that he would be putting forth an executive order so that federal contractors pay federally-funded employees at least $10.10 an hour. He acknowledged that the country’s minimum wage is almost twenty percent less than when Ronald Reagan took office. He mentioned Senator Tom Harkin and Representative George Miller whose bill will raise the federal minimum wage to $10.10. Despite the early woes of Obamacare, the President stood by his landmark legislation. Obama victoriously proclaimed that 3 million young adults now have coverage with their parents’ plan, 9 million have enrolled in some form of health insurance, and no one will ever lose or be denied healthcare due to a pre-existing condition or simply being a woman. He addressed Republicans in the House directly, reminding them that attempting to repeal Obamacare over forty times is not a productive use of session. President Obama then asked that each American encourage a friend to get insured before March 31st. Though the Supreme Court weakened the Voting Rights Act last summer, the President announced that a bipartisan commission was working to ensure that all Americans can vote without more than a half-hour wait. Sadly, Obama only mentioned gun control in passing, vowing to keep working to prevent “tragedies from visiting innocent Americans in our movie theaters and our shopping malls, or schools like Sandy Hook.” He made no concrete statement as to how he plans to do this. President Obama reminded the country that all troops are out of Iraq, and those in Afghanistan are scheduled to leave by the end of the year, effectively ending America’s longest war. He warned against the threat of al Qaeda in Yemen, Somalia, Iraq, and Mali and proclaimed American support for the Syrian opposition that “rejects…terrorist networks.” Obama stated his wishes to move away from “permanent war footing,” acknowledging needed limits to drone warfare and government surveillance. Returning to one of his early campaign promises, the President announced his intent to push for the closing of Guantanamo Bay. The highlight of foreign policy was Iran: he spoke of the negotiations to prevent Iran from obtaining a nuclear weapon and asserted that any attempt by Congress to create new sanctions would be vetoed. The President’s goals for veterans include healthcare (and mental healthcare) and job training. Here, Obama told the story of Army Ranger Cory Remsburg who, on his tenth deployment, was severely injured by a roadside bomb. As he told Cory’s inspirational story of pain and recovery, tears welled in my eyes. This is where the President truly hit his stride, and I can’t think of a better person to honor at the State of the Union. Image courtesy of the AAUW. 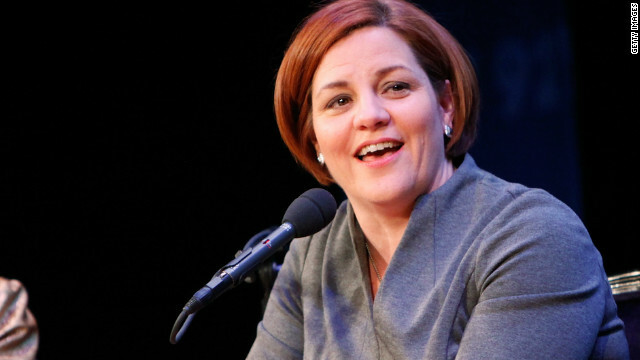 Last Thursday, New York City Council Speaker Christine Quinn, who is beginning her official bid for Mayor, had a conversation with President Spar on a range of topics. The speaker’s campaign is closely tied to Barnard. As she opened her remarks she gave some shoutouts to a few alums and current students who have worked or are still on her campaign: Maura Kearney ’96, Sarah Scheinman ’12, and current senior, Eva Schneider ’13, who will be working for the campaign full-time after her graduation. Quinn is an engaging speaker: anecdotal and charming, with many ad-libs that drew on the warmth from the audience. She related a story about her grandmother who survived the crash of the Titanic and was one of the few women from third class (steerage) to do so. When asked how she made it off the ship when most of the poorer passengers did not, Quinn said her grandmother told her: “When the rest of the girls dropped down to pray, I made a run for it.” That break-from-the-pack mentality was an underlying theme in the Speaker’s remarks to the audience in the Event Oval of the Diana Center. Among other topics, Quinn broached the subject of the ‘renaissance woman’—an archetypal, unattainable standard of perfection that puts pressure on today’s young women. The topic is an especially poignant one for President Spar, what with her Washington Post article “Why Our Brightest Female Students Are Still at a Disadvantage,” as well as a string of her other articles addressing many of the same topics. She framed this within a larger and more personal narrative of being a woman who has had to push many of these fears and voices aside in order to get things done. She touted the strength of getting out of one’s own way. Speaker Quinn briefly answered questions on the stop-and-frisk tactic of the NYPD (she compared it to a tool in an officer’s ‘toolbox’ but agreed that the way was approached needs to be drastically changed, as it doesn’t yield the results it should). When asked by President Spar what she would, in a hypothetical, fix with the wave of a wand, Quinn quickly mentioned affordable housing. Housing was a crucial part of her State of the City address on February 11th, where she mentioned both an “affordability crisis” and a “middle class squeeze.” Unfortunately, she was unable to go into greater detail on some of the ideas she broached in that earlier speech, which included a 30-year cap on real estate taxes for landlords who continue to be a part of the housing program that sets aside 20% of apartments in new buildings to be offered below-market rents, among other ideas. 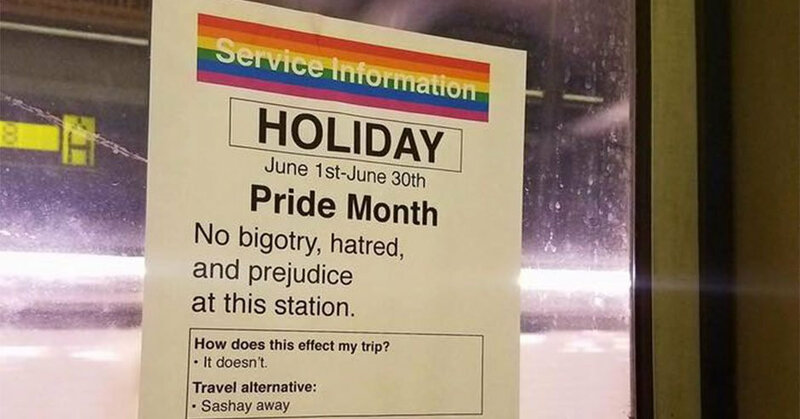 As a New Yorker, and someone who hopes to (possibly? Maybe? In my dreams?) afford real estate in this city, I would have loved to hear Speaker Quinn speak more tangibly on her ideas for affordable housing, child literacy, and after-school programs, as well as the city’s continued efforts to rebuild large portions of the outer boroughs damaged by Hurricane Sandy five months ago. Most importantly, as Quinn included in her talk, the democratic primary in New York is September 10th, 2013, so to everyone who cares about Ms. Quinn’s fate in this election, or just the mayor’s race in general, save the date and vote! Soyini Driskell is a student at Barnard and a staff writer for The Nine Ways of Knowing. Images courtesy of CNN and International House New York. This election was a historic one for women. When the new session of Congress convenes in January, both chambers will have record numbers of women (20 in the Senate, and at least 77 in the House). The House will have a record number of women of color (28!). New Hampshire, who also elected a female governor, will be represented by an entirely female delegation in Washington, a national first. Hawaii, Massachusetts, North Dakota, and Wisconsin elected their first female Senators. Here are some of the awesome women who will be heading to Washington this winter. Tammy Baldwin is a Democrat from Wisconsin who will not only be her state’s first female Senator, but also the first openly gay Senator. However this is not her first time going to Washington. Baldwin has served in the House since 1999 representing Wisconsin’s 2nd District. She is the Co-Founder and Co-Chair of the Congressional LGBT Equality Caucus. Her main issues of focus in the House have been civil rights, green energy and healthcare. Mazie Hirono is a Democrat from Hawaii who will be the first Asian-American woman in the Senate as well as her state’s first female senator. She has been representing Hawaii’s 2nd District in the House since 2006. A naturalized citizen who was born in Japan , she was the first female Asian immigrant in the House. Education is one of her main areas of focus. 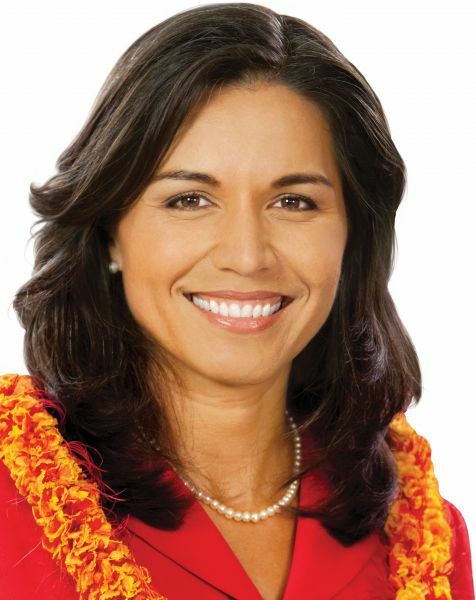 Tulsi Gabbard, another Democrat from Hawaii, is heading to the House. When she is sworn in she will be first Hindu-American elected to Congress. She also served two tours in the Middle East with the National Guard, making her one of the first two female combat veterans to serve in the House. Before deploying, she was the youngest person ever elected to the Hawaii State Legislature. She has written editorials for the Huffington Post on Wall Street regulations, nuclear non-proliferation, women’s rights, and banks foreclosing on deployed troops. 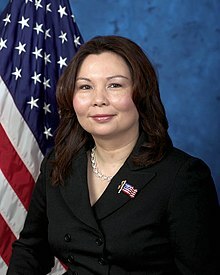 In 2004, Tammy Duckworth became one of the first women to fly Black Hawk helicopter combat missions in Iraq. Her helicopter was shot down and she lost both legs and use of her right arm. After losing her first run for Congress she became the Director of Illinois’ Department of Veteran Affairs. President Obama appointed her Assistant Secretary of Veterans Affairs in 2009. She led efforts to decrease veteran homelessness and for female veterans. She will be the first disabled woman in the House and one of the first two female combat veterans. Elizabeth Warren‘s race against Senator Scott Brown was perhaps the most followed race behind the Presidency. She’s been a professor at Harvard Law School for nearly two decades, and was named One of the Most Influential Lawyers of the Decade by the National Law Journal. Frequently called the “Sheriff of Wall Street,” she championed the creation of the Consumer Financial Protection Bureau. When she couldn’t become head of the Bureau, she was recruited to run for Senate. Samantha Plotner is a senior at Barnard and Senior Editor for The Nine Ways of Knowing. Images courtesy of Reuters, Twitter, Momocrats, Wikipedia, and Washington Post.